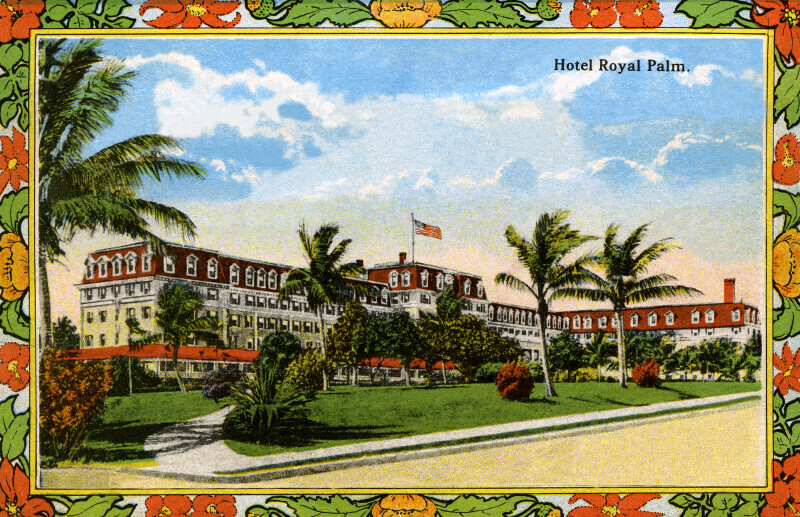 This image shows the Royal Palm Hotel, which was built in 1897. The hotel has a six story central section, with five story wings. The top floor has a mansard roof, and gabled dormers. The grounds of the hotel are landscaped, with a walkway winding through palm trees, deciduous trees, and ornamental shrubs.